According to experts, if the government takes such a step, it would be considered a failure of its declared fight on monopolies rather than a step forward. 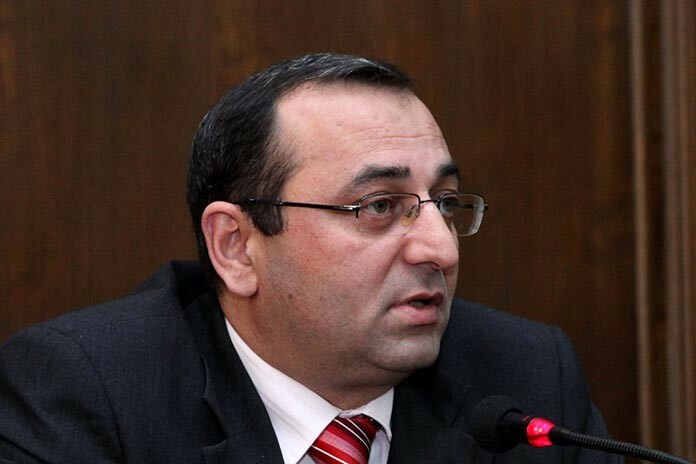 Speaking to reporters on Monday, Minister Minasyan did not rule out that the lucrative importation of sugar (sugar cane) may officially be regarded as a monopoly, considering that the sugar factory in Armenia today works at only 25-30 percent of its capacity. “Now the question is whether this 25-30 percent should not be allowed to work either? Wouldn’t it be better if you recognize it as a monopoly by law, but impose conditions, such as that it has to work at the minimum of 90 percent of its capacity and ensure a certain number of jobs, a certain amount of revenues for the state budget and ensure transparency. In that case, regardless of who the owners are, the State perhaps would help this organization in the direction of organizing exportation,” the minister said. At the same time, Minasyan did not agree that the move was an attempt to legitimize the present state of affairs in the sphere where monopolization has long been an issue. He pointed to the example of a salt-mining enterprise in Switzerland. “These are issues that should be discussed. In sectors where there is local production a large amount of employment should be ensured and they should be under public responsibility to provide a great economic effect. Is it right that in this part we give full freedom to import or after all the public interest in this case requires that all relations be regulated by law, even if it means recognizing a monopoly?” said the minister, who in the government represents Dashnaktsutyun, a party that, in particular, espouses socialist views. The Akhuryan sugar mill that belongs to the extended family of ruling party MP Samvel Alexanyan was opened in 2010. It has the capacity to recycle both semi-finished product and locally grown sugar-beet. Several months ago opposition MP Nikol Pashinyan expressed doubts in parliament that the enterprise actually produces sugar. He voiced suspicions that the Alexanyan-owned company imports granulated sugar, but in order to avoid high customs duties it formally registers it as raw material which purportedly gets processed at the sugar mill later, but, in fact, immediately enters the market. Alexanyan denied these claims, saying that for already four years the company run by his family has been importing sugar cane from Brazil and processing it at the Akhuryan enterprise. “Of course, I don’t think that the government of Armenia will take this step after all, at least, because of the fear of pressure from international financial institutions. But the mere fact that this option is being discussed already signals the official end to the declared struggle against monopolies,” Gevorgyan told ArmeniaNow.